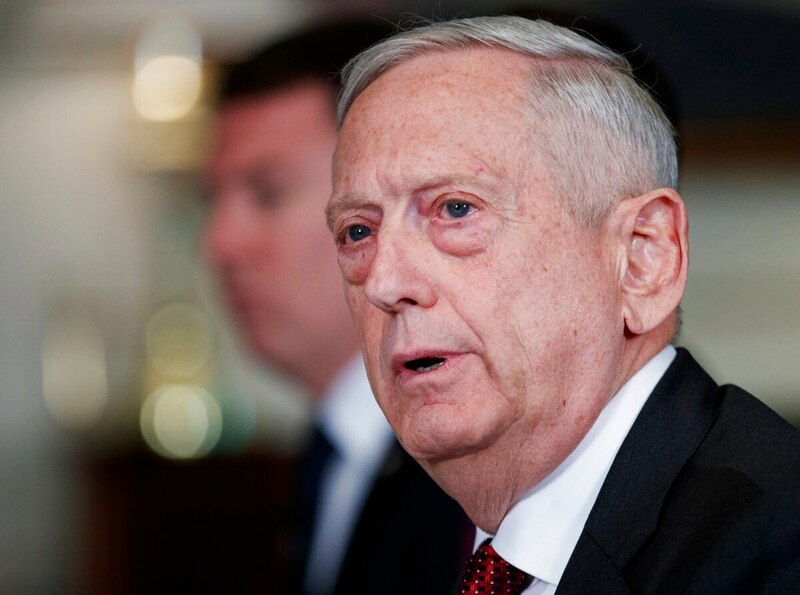 Defense Secretary Jim Mattis said Wednesday that the U.S. and key allies are still working on options to respond to Syria’s suspected chemical attacks, and have not concluded who was behind the attacks. “We are still assessing the intelligence, ourselves and our allies, we’re still working on this,” Mattis said when asked whether the government of Syrian president Bashar Assad was responsible. For days the U.S. military has been assessing potential retaliatory strikes for the reported attacks that occurred in the Syrian town of Douma April 7. Images of infants, women and children poisoned and lying dead as they took shelter have spurred a new round of escalating warnings from President Donald Trump and increased the likelihood that U.S. military assets, such as cruise missiles fired from nearby warships, would be employed. “Russia vows to shoot down any and all missiles fired at Syria. Get ready Russia, because they will be coming, nice and new and “smart!” You shouldn’t be partners with a Gas Killing Animal who kills his people and enjoys it!“ Trump tweeted early Wednesday, after Russia warned it would employ its missile defense systems if the U.S. launched another strike. The U.S. launched a similar response almost exactly one year ago today, firing 59 cruise missiles from the destroyers Porter and Ross after a similar chemical attack killed scores of civilians in the Syrian town of Khan Sheikhun. Mattis said that the Pentagon is ready to respond again, if that is what Trump directs.